in accordance with the gifts we have been given. and St. Clement Parish provides many opportunities to do so. Doing so, we are the face of the Church to all whose lives we touch. if you would like to take part. You will be warmly welcomed! 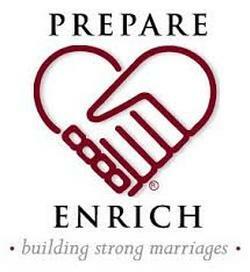 Taking part in Prepare/Enrich is a new requirement for couples planning to marry. Engaged couples complete a questionnaire to assess their strengths and challenges. Married couples, trained by the Diocese, then meet with each couple privately. They review the results and develop strategies to nurture the engaged couple’s relationship. The Rite of Christian Initiation of Adults (R.C.I.A.) is a process through which adults become full members of the Roman Catholic Church. It is based on life-long faith formation. Several stages are involved, beginning with a period of inquiry to learn more about Catholicism. Our programme runs from early autumn until Easter. Weekly sessions take place in the Parish Hall. The R.C.I.A. is open to persons 16 years of age and older – Those who received infant Baptism in the Church but never learned about or practised Catholicism; those baptized in another Christian faith, now interested in Catholicism; and those who are not baptized. ​​As candidates are ready, they are received into the Church. This most often takes place on Holy Saturday at the Easter Vigil. In support of the bereaved, we have a group of faithful people who lead the Vigil Prayers at funeral homes. A new facet of our Ministry of Presence is "Walk to Emmaus", a gentle ministry for the bereaved. Our first-ever group met on eight Monday afternoons from September 26 to November 21, 2016. If you have questions or would like to take part in the next series of meetings, please call Mary Ann at 519-623-2144. You will be warmly welcomed. Our Prayer Network consists of parishioners who pray confidentially for anyone who asks. Prayer requests (intentions) are received by telephone/email and passed, member by member, to the next person on the list. Their purpose is to provide prayerful support. Anyone with a heart for prayer is welcome to pray, in any way they can, for those in need. Our Cenacle of Prayer meets in church for about an hour every Friday following the 8:00 a.m. Mass. They recite the Rosary, the Chaplet of Divine Mercy and the Peace Rosary. They conclude with the Act of Consecration to the Immaculate Heart of Mary, a Marian hymn and a hymn to Jesus. Anyone who feels drawn to this devotional time is welcome to take part. Each first Friday of the month, the 8:00 a.m. Mass concludes with Exposition of the Blessed Sacrament. All are welcome to spend quiet time in prayer until 5:00 p.m. Regularly scheduled Adorers are people who have committed to covering one particular hour each month. This allows the church to remain open for the whole day. New volunteers are always welcome so that every hour is covered in case of illness and holidays. Our sacristans are volunteers who take care of the sacristy and other areas of the church. They clean the sacred vessels, fill the holy water fonts, launder church linens and dust the sacristy. Some of our parishioners beautify the church with flowers throughout the year. Our Rosary Makers are men and women who gently promote the Rosary. Together with members of other parishes, they visit Catholic schools and teach children how to make their own rosary. They also visit the seniors at Marian Residence to make rosaries for the Missions. ​The Catholic Women’s League is a women’s organization rooted in Gospel values. It calls its members to holiness through service to the people of God. It promotes understanding and growth, social justice, peace and harmony. St. Clement’s Catholic Women’s League celebrated its 90th Anniversary in April 2014. Its members are well known for their giving. Most notably, the ladies prepare and serve funeral lunches for the bereaved. They also hold an annual Penny Sale, an important fundraiser which supports parish initiatives and raises money for charity. Meetings are held on the first Monday of the month from September to June, usually in the Parish Hall at 7:30 p.m. A warm welcome awaits you. Come and see what the C.W.L. is all about! 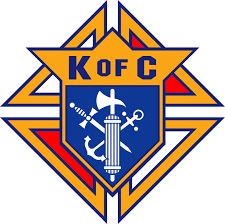 The Knights of Columbus is an organization dedicated to charity, fraternalism, unity and patriotism. Open to Catholic men 18 years of age and over, it assists church and community through a variety of fund-raising projects. Members are committed to supporting their parish church and making their community a better place. Msgr. Paul J. Meyer Council #4916 was founded in 1960 through the efforts of several members of St. Clement Parish. It is named after Monsignor Paul J. Meyer, our Pastor from 1925 until his death in 1959. Council #4916 – the Preston-Hespeler Knights – works closely with St. Clement, St. Mary of the Visitation and St. Gregory parishes to provide funds for various projects. The St. Vincent de Paul Society lives the Gospel message by serving Christ in the poor. Each parish group (Conference) is comprised of men, women and young adults who assist the needy who live within parish boundaries. Some members of St. Vincent de Paul – St. Clement Conference volunteer a few hours each month; others choose to volunteer only at Christmas. All volunteer help is much appreciated. The persons and families served are in emergency situations: Folks in need of food, clothing or other basic necessities. St. Clement Conference also assists the needy at Christmas, providing food and toys through the generosity of parishioners. ANCOP Canada is a registered charity recognized by the Canadian government. Its mission is to answer the cry of the poor through child education, community development and humanitarian relief. Its volunteers and partners work to transform the lives of our brothers and sisters in the Philippines, Ghana, India, Kenya and Nigeria. They focus on restoring hope and dignity ... One child at a time, one family at a time, one community at a time. Cambridge Right to Life is a registered charity recognized by the Canadian government. It is committed to helping develop a society in which all human life is recognized as a gift from God. Its members believe human life must be protected from conception to natural death. Parishioners are warmly invited to participate in their activities. Canadian Food for Children is a registered charity recognized by the Canadian government. It was founded by Dr. Andrew Simone and his wife, Jean, in 1985 and sends food to developing countries to feed the poorest of the poor. ​Parishioners are invited to bring non-perishables to church on the third Sunday of each month: Salt, sugar, powdered milk; rice, dry pasta, canned meats; wrapped hard candies, soap. Our parishioners also help by sorting items and delivering items to the CFFC Kitchener depot. “Nature is the art of God.” This group of men and women, 20 to 40 years of age, meet for fellowship with other Christians who enjoy the great outdoors. The primary purpose of the group is to bring believers in Christ together through doing things which outdoor enthusiasts enjoy. All are welcome to join regardless of their background and religious affiliation. In addition to outdoor activities, members freely share their faith, ask questions, share testimonies and strengthen each other in their daily walk with the Lord.